Gallery of Pastel and Oil Artworks by Lynn Freed: Architectural, Floral, Southwest, & Wildlife. 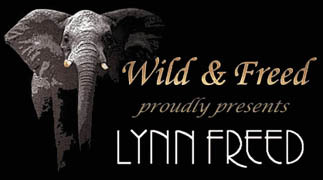 The Wild & Freed Gallery is dedicated to providing the public with high-quality, giclee art prints on both paper and canvas of original pastel and oil fine artworks by Lynn Freed. All of our giclee art prints use archival inks and substrates and are UV coated to ensure durability and longevity. The Limited Edition Gallery is broken into four genres: Architectural, Floral, Southwest, and Wildlife. For images appearing in these galleries, the editions and sizes are set before any production art prints are made. The Wild & Freed Gallery and the artist, Lynn Freed, agree not to add to or alter the edition quantities once the artwork enters production in order to protect our customers' investment. Each of our limited edition giclee art prints comes with a Certificate of Authenticity clearly stating the art print's edition number and shows all the editions that are available for that artwork. The original fine art pastels are also available in these galleries. The Open Edition Gallery contains artworks exclusively created by Lynn Freed and cover a wide range of genre - Seascapes, Landscapes, Floral, Southwest, Wildlife, Still Life, etc. The images appearing here are considered as open and unlimited. This means that additional editions and formats may be added at any time and some formats will not have a limit to the number of prints that will be produced. Each giclee print is produced at the same high quality standards as those in the Limited Edition Galleries, but is offered here at a lower price. Lynn Freed's original pastels and oils are available in this gallery. The Miniature Original Gallery contains original miniature pastel and oil artworks that adhere to the same standards as miniature paintings, but are done entirely in pastel or oil. It takes a great deal of skill and discipline to create these fine artworks and few are able to accomplish such a task. Miniature Pastels are very rare and Wild & Freed Gallery is pleased to include these exceptional original fine art miniature pastels and oils by Lynn Freed. Learn a little about the artist and her career. The Card Shop has note cards and other stationery items designed by Lynn Freed that can help you keep in touch with friends and loved ones. They make great gifts too. This is another way of keeping in touch with friends and family. E-Cards are free and are an easy way to share Lynn's pastel artworks with others. We do not collect or distribute e-mail addresses or participate in any mass mailings. We love to hear form our visitors. If you have questions, suggestions, or comments, this is the place. You can also sign up to receive information on upcoming shows and events. Thank you for visiting, and enjoy these wonderful artworks by Lynn Freed. Secure on-line shopping where you know the total cost before you buy. This Web Site best viewed with 16 bit "High Color" or 32 bit "True Color." | Labelled with ICRA. ©1997 • Wild & Freed. All Rights Reserved.